Why a ship can't pass through its own wave? 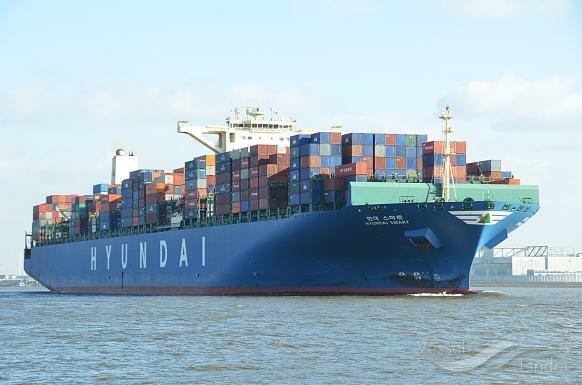 This is a photo of a container vessel. All container vessels are long because they are cruising at high speeds. When a ship is sailing it creates waves. When the wavelength of these waves equal the length of the ship, the resistance that the ship encounters increases dramatically. This phenomenon is called " wave wall"
1) Why this phenomenon occurs when the wavelength of the wave and the length of the ship become equal? 2) Why a ship can't pass through its own wave? The concept of hull speed is not used in modern naval architecture, where considerations of speed-length ratio or Froude number are considered more helpful. Because you are trying to add more "inertia" than the "external field" (mostly Gravity) can absorb. This leads to the effect explained by the comments of John Forkosh; to ship starts also to try to "get over with gravity". Adding further inertia would lift the ship and as this lifting energy is mostly dissipated by wave creation, it just causes more losses. In ideal theoretical case this "lifting" would only cause some potential energy to be "lost" until it's recovered when the ship stops. But as in the reality the ship starts an infinite climb, the losses are extreme; up to 5-10 times more than in optimum. The only problem is the lack of engine power. As said above, it need's 5-10 time more power to lift up the boat to planing than is needed to just cruise in Froude number 1 speed. Ie. Emma Maersk has an 81 MW propulsion power. So do the math, and find out that it would need a 400-800 MW power source to get higher speed. This is about the amount of typical nuclear Powerplant. So it's possible, it's just not realistic. One such fast freight ship was even once build; GTS Finnjet. It had the needed engine power, but it actually used this full power only 10 years, before it was already completely impossible to accept it's 16 000 litres/hour full power fuel consumption. Even air-plain's does better with travel-time-freight-ton-fuel-used comparison. Note; This ship was ordered just before the 1973 oil crisis. Please note that when you get the ship up on planing, adding further velocity doesn't add too much of losses, and doesn't need much more power either. From here you can find resistance/weight vs. Speed/length ratios. The hydrofoil ships are working with this principle. Their drag is acceptable small, as they really get out of water on high speeds. Question 1: When the wavelength of the bow wave is equal to the length of the ship, the bow wave interferes constructively with the stern wave, causing taller waves in the wake and thus more energy radiated in the waves and more drag. Question 2: This effect is not a hard "speed limit" at all. In fact, compared with the sound barrier at Mach 1 in aerodynamics, it is hardly noticeable. The drag continues to increase above the hull speed, with only a modest bump in the trend for most common boat hull shapes. Container vessels are long simply because they're trying to carry as many boxes (containers) as they can. At one time, container vessels in liner service were designed and built for relatively high speed, but the rise in fuel prices forced owners to seek ships which operated at more modest speeds. Even now, a world-wide glut in container carrying capacity has forced owners to adopt the practice of "slow steaming" even though fuel prices have come down in recent years in order to save money. Where ships once carried 4000-8000 TEU, newer designs are capable of carrying upward of 19,000 TEU on a single voyage. As far as sailing thru its own wave, a ship generates waves starting at the bow and continuing all the way to its stern. This wave is a disturbance created by the passage of the hull thru the water. A ship can no more sail thru its own wave than you can outrun your shadow. Not the answer you're looking for? Browse other questions tagged waves or ask your own question. Why doesn't linear wave theory produce phase velocities that agree with each other? How does Quincke's tube work?